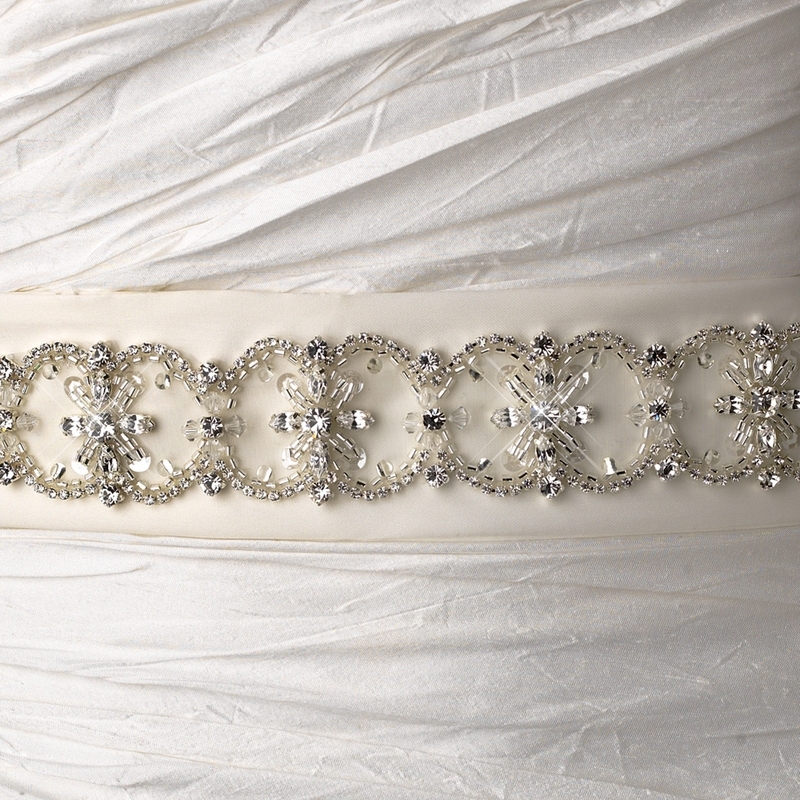 Sophisticated and intricately designed bridal belt sash accented with swarovski crystals, rhinestones and bugle beads. 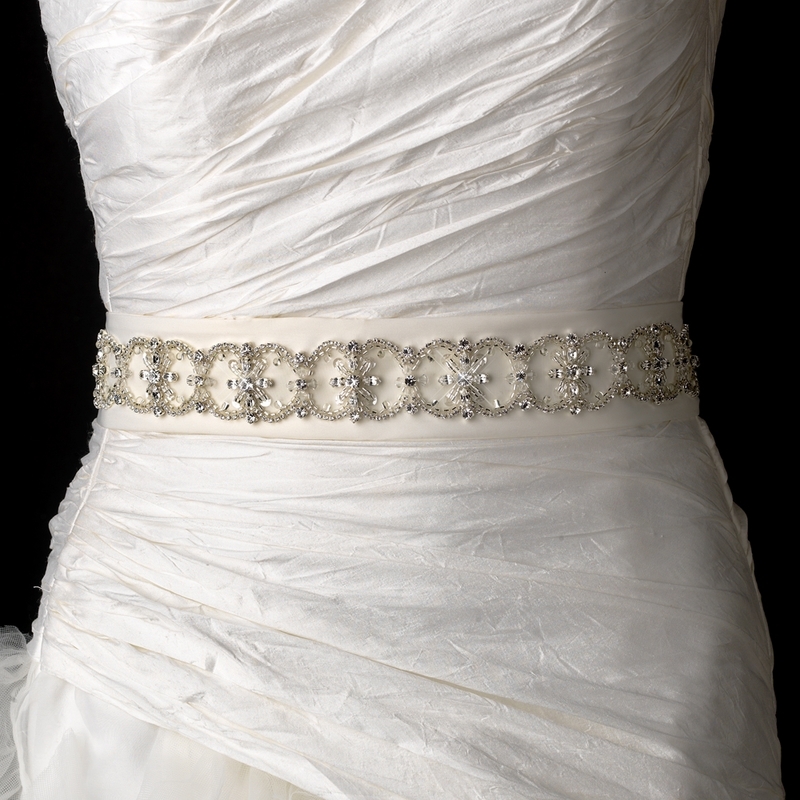 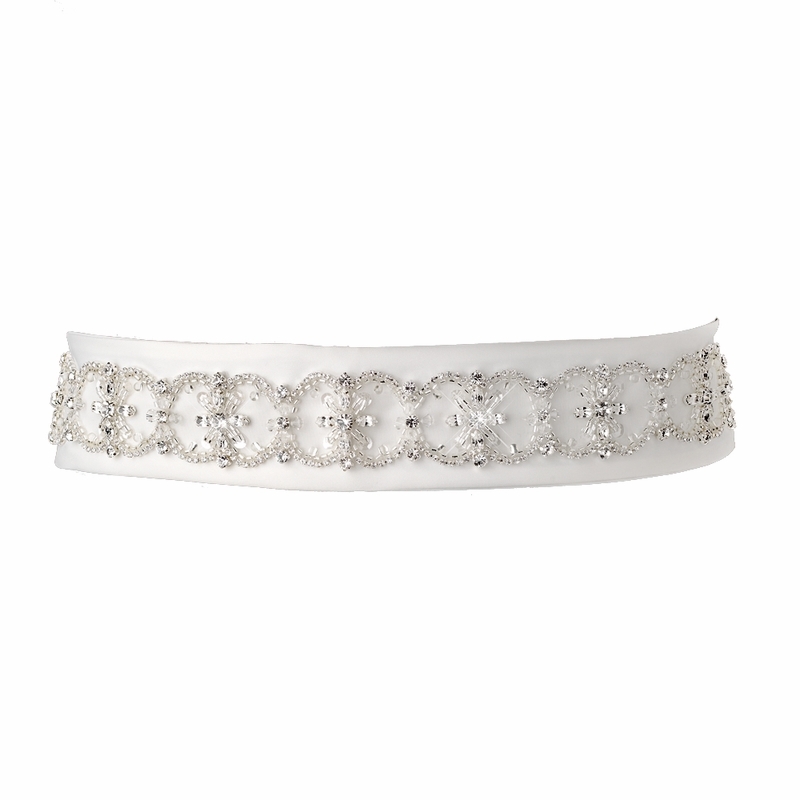 This belt will add the perfect finishing touch to your wedding gown. Size: 1.9" Wide x 95" Long.